Home / Articles / 2016 / Corporate Misdeeds? You Must Blow the Whistle! No specific incident of whistleblowing or lack of it led to the revision of the rules, says IChemE. The institution simply decided it was time to explicitly address the issue. IChemE provides a much clearer and stronger mandate than that, for instance, issued by the American Institute of Chemical Engineers (AIChE), New York City. Its “Code of Ethics” hints at the need for whistleblowing in some situations but doesn’t demand it. The code states that AIChE members should: “formally advise their employers or clients (and consider further disclosure, if warranted) if they perceive that a consequence of their duties will adversely affect the present or future health or safety of their colleagues or the public.” Perhaps it’s time for AIChE to revisit the code. Requiring members to whistleblow or support people who do certainly is a worthwhile move. However, it puts the onus on members but lets the professional society itself off the hook for providing support. IChemE believes it might have a role to play. Indeed, it now is investigating the viability of setting up a mechanism to support whistleblowers. However, the institution cautions that it’s too early to say whether such a move is viable and what the mechanism might involve. Stay tuned! 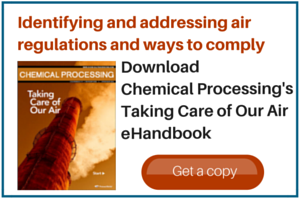 We never can forget that the nature of many of the materials our industry uses and produces and the processes it operates can pose significant risks beyond the plant gate. That’s why, of course, safety and environmental protection are such priorities. However, lapses occur — unfortunately, sometimes deliberately. When we come across miscues or misdeeds that threaten the public wellbeing, we should not stay silent. Morality and ethics should compel taking action whether or not our professional societies demand it. That takes real courage, though. Speaking out can incur significant personal consequences, as Dirk Willard recounted last year in “Blow The Whistle.” In addition, perseverance often is needed — I covered a classic example of this in “A Milestone Book Turns 50,” http://goo.gl/EM2xew, which focused on “Silent Spring” and its author Rachel Carson. I applaud IChemE’s move. Telling members to whistleblow when necessary is worthwhile — but easy. Actually providing institutional support to whistleblowers is an important and all too rare action that IChemE certainly should consider.